Disney Resort® is a park where groups comprised of men and women, families and couples visit. However, did you know that many groups of only men are visiting the park recently? 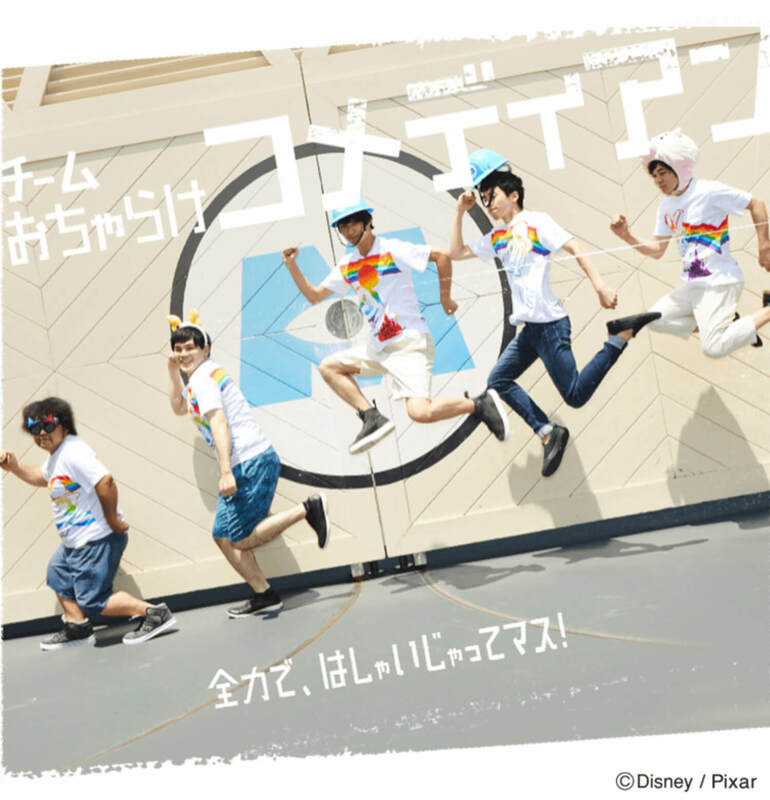 They are enjoying the park in various ways such as by wearing the same T-shirt or fun cap, competing with each other by playing games and eating one-handed menu items together. 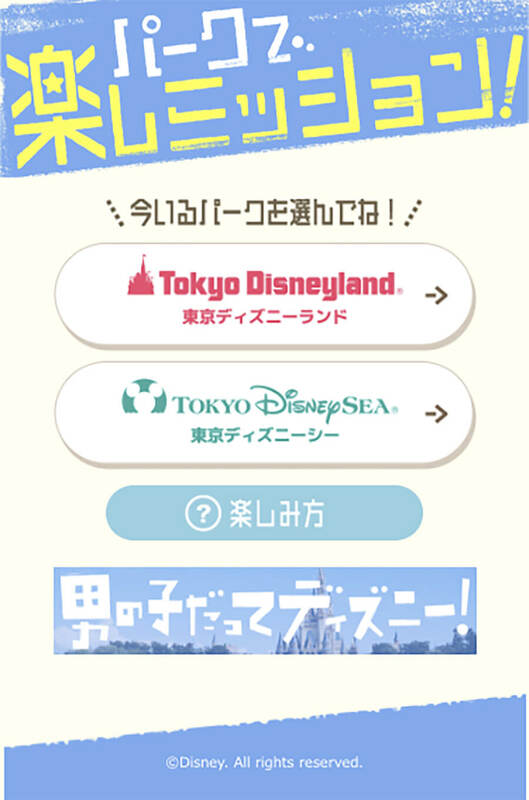 To entertain such groups, the park has opened its official website named, Otokonoko Datte Disney (even boys can enjoy Disney) – so as to suggest various ways of how men can enjoy the park. The website introduces various ways of enjoying the park in accordance of each type of group such as “Team Machoism!” and “Team Ocharake-goofying- Comedian.” “Team Machoism” which is suitable for a group that loves muscle competitions, recommends a muscle training program held at “Beaver Brothers no Canoe Tainken” and a muscle photo-taking program at Toontown. Other than that, “Team Ocharake Comedian” introduces ways of eating churros in a funny way and how to take funny-looking photos in the park. Also, Otokonoko datte Disney! started a website content named, “Park de Tanoshi Mission” which has participants carry out various missions which are designated in roulette fashion. 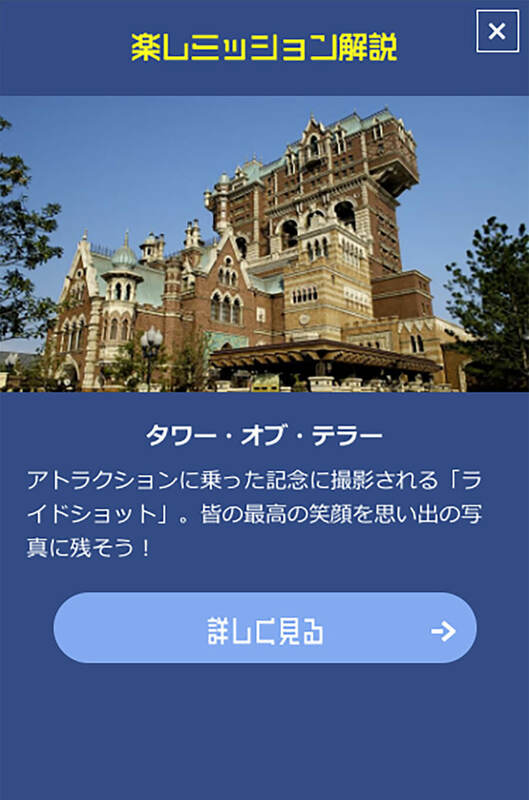 The number of missions in both Disney Land and Disney Sea exceeds 100! Why not trying out some new ways of enjoying the Disney parks and challenging some unpredictable missions so as to make some awesome memories?